… only God possesses the way of life. Since His life is immutable, so it is eternal; since only God is the way of life, so God Himself is the way of eternal life” (“Only Christ of the Last Days Can Give Man the Way of Eternal Life” in The Word Appears in the Flesh). From the word of Almighty God, we can see that the truth, the way, and the life all come from God and that only God Himself has the way of life. In the Bible it says: “In the beginning was the Word, and the Word was with God, and the Word was God” (Jhn 1:1). The Word is God, the Word is words and the Word is the truth, the way, and the life. The Word becoming the flesh is the realization of God’s Spirit into the flesh, that is also the truth, the way, and the life all coming into the flesh, just as Almighty God said: “The Word has become flesh and the Spirit of truth has been realized in the flesh—that all the truth, the life, and the way has come in the flesh, and the Spirit has really arrived on earth and in the flesh” (“Practice (4)” in The Word Appears in the Flesh). The testimony of God’s two incarnations is that He is the truth, the way, and the life. This has given mankind a great revelation, that is that only Christ is the truth, the way, and the life and that Christ’s work and words and all that He has and is is the truth, the way, and the life. This is the essence of Christ. Christ’s expression of the word of God is doing God’s own work through God’s identity; it is to start an age and conclude an age; it is the work of the entire age and it is toward the whole of mankind. 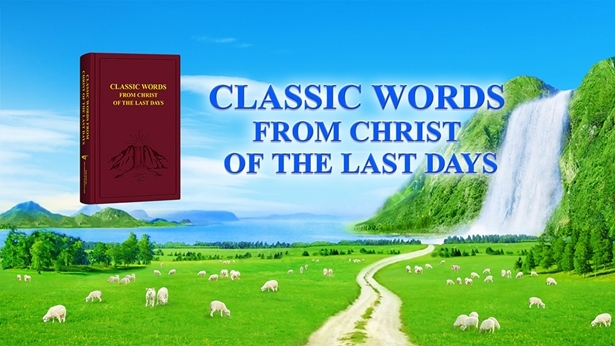 The words of God expressed by Christ are the complete words of a stage of God’s work and can completely express God’s disposition, all that God has and is, the mysteries of God’s management plan and God’s demands and intentions for mankind. These words are all the truth and can not only act as people’s life but can supply people’s life. Like when the Lord Jesus came and expressed all the truth that people needed in the Age of Grace and made mankind able to confess and repent and return to God, be entitled to pray to God, come before God and enjoy God’s grace and see God’s mercy and love. This is the outcome of redemption work. The work of the Lord Jesus forgave people of their sin and redeemed people from their sin. The Lord Jesus did a stage of work of redeeming mankind, opened the Age of Grace and ended the Age of Law. Almighty God, God incarnate of the last days has come and expressed all the truth to cleanse and save people, does the work of judgment beginning with God’s family, to let people see God’s righteous disposition and His almightiness and wisdom, to cleanse and change people’s life disposition and to enable people to fear God and shun evil, thoroughly break free from Satan’s influence and truly return to God and be gained by God. The work of Almighty God opened up the Age of Kingdom and ended the Age of Grace. This lets us see that all that Christ said, did and expressed is the truth and that the path Christ pointed out to mankind, the life supply and grace that He brought is not possessed or expressed by any mankind. Christ is the origin of mankind’s life, the appearance of God, the truth, the way, and the life, and mankind’s only redemption and salvation, and besides Christ, no one can possess the truth, the way, and the life. This is a fact perfectly obvious to all! Previous：Question 6: In the Age of Grace, God was incarnated and served as a sin offering for mankind, redeeming them from sin. God has been incarnated again in the last days and has uttered truths and done the work of judgment, thoroughly cleansing and saving mankind. Why does God need to become flesh twice to do His work of saving mankind? What is the true significance of God incarnating Himself twice? Next：Question 8: You bear witness that God incarnating Himself in the last days has begun the Age of Kingdom, ending the old age of Satan’s rule. What we’d like to ask is, how has Almighty God’s work of judgment in the last days ended the dark age of mankind’s belief in a vague God, and of Satan’s rule? Please share detailed fellowship.